A record of Didion’s effort to survive the death of her husband and the near-fatal illness of her only daughter. Out of excruciatingly painful personal experience, Joan Didion has written a lacerating yet peculiarly stirring book... In December 2003 two terrible things happened: her only child, Quintana, married months earlier, was hospitalized in a coma, and five days later her husband, John Gregory Dunne, died... For more than a year, Didion's life was completely taken over by these events; The Year of Magical Thinking is the story of that year ...an intensely personal story that involves a relatively small cast of characters... Some books (most of them very bad) do get written because their authors put themselves on the couch, and some writers are not above cashing in on anything, including the illnesses or deaths of people ostensibly close to them. Not for a moment do I believe either to be the case with Didion ... 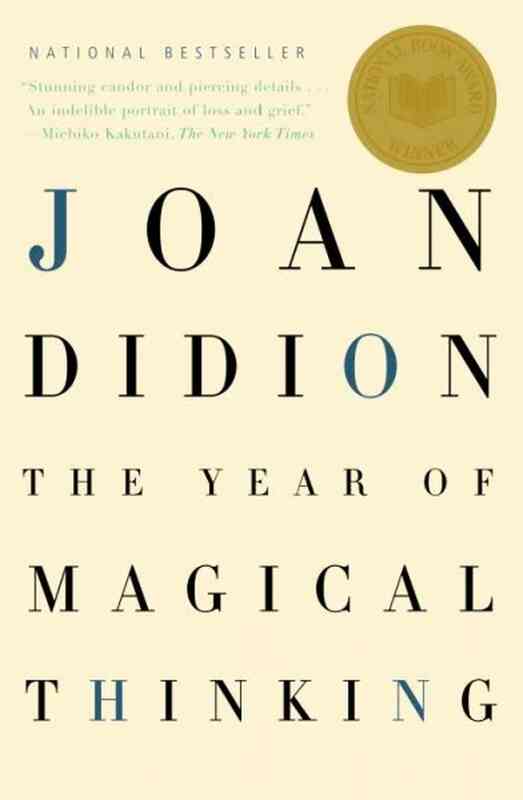 The Year of Magical Thinking, though it spares nothing in describing Didion's confusion, grief and derangement, is a work of surpassing clarity and honesty. Joan Didion has long grappled with what is out of our control and what is within our control, life's uneasy balance, or imbalance, between circumstance and free will. The Year of Magical Thinking forces her to confront this issue in an especially personal way: It deals with the death of Didion's husband, the writer John Gregory Dunne, which occurs in the midst of their daughter's hospitalization for a winter flu that had turned life-threatening ...her writing, with its tautness and precision, is itself a way of imposing order on the illogical, preserving sanity in the face of turmoil. Remaining a cool customer has been Didion's life's work. She doesn't do the feeling for you, but her unfussy prose elicits a rush of emotion in the reader... The book is an exacting self-examination, but it is also a heartbreaking, though far from sentimentalized, love letter, engrossing in its candor ... In the matter-of-fact, almost comma-less prose that is her hallmark, Didion illuminates the bond between husband and wife in terms both homely and indelible. In her new book, The Year of Magical Thinking, the life that persists amid the disorder is Didion's, and the salient tatter of poetry that inspires her is from T.S. Eliot's The Waste Land. The lines that now reverberate in her inner ear are Eliot's: 'these fragments I have shored against my ruins.' ... The Year of Magical Thinking is an aching — and achingly beautiful — chronicle of this year of fragments shored against Didion's ruins ... Many such wishful episodes revolve around how Didion uses language to try to preserve order and continuity ...the words she hears and repeats are no longer just words but magical words, charm words ...inhabits a surgically precise idiom like an A student at medical school, snaps commands and reminders at doctors and orderlies, looks to these potent words and slabs of information as bulwarks against the dilating pain of helplessness and loss ... The difference between her own fragments shored against these unhappy ruins and those fragments — fanciful wishes and narrow half-truths and gaudy amulets — marshaled by her previous subjects is this: We are left with the impression that her near-pathological honesty will in time allow her to cope — without magic — with things falling apart. 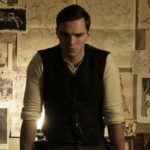 What did you think of The Year of Magical Thinking?